StyleYou is one of those services where you fill out a questionnaire to define your style and the looks that interest you, and the looks that DON'T interest you (turns out i have a clinical aversion to houndstooth) and then a team of stylists uses that information to pull together a box of clothes. shipping is free both ways and you're only charged for what you decide to keep (you have about a week to make your decision). the box arrived last week and during one of huck's rare afternoon naps i went through and played dress up. and then i put together this super high fashion "editorial spread" using just the self timer on my iphone and my plucky personality, because my camera is temporarily out of commish and the holbstographer works a million hours a week in the summer. cheers! ombré tank top for the beach! and white jeans for spilling my mustard on. winners. super cute dress. (sadly too short for me. back it goes!) and, i mean, it's a hot pink blazer. ain't nothing wrong with that. you can check out StyleYou on facebook HERE. and thank YOU as always for supporting the companies that support the rat. xo! oooooo this is so tempting. I was just looking at Stitchfix so maybe I'll try dem first. I don't think I could ever let anyone else pick my clothes for me. Im way to picky lol. What a great concept! I don't know if I could resist any of the items I sent... OR trust someone to shop for me. That almost never works, except for a few trusted friends. I love the self timer photos. You nailed it girl! I signed up! 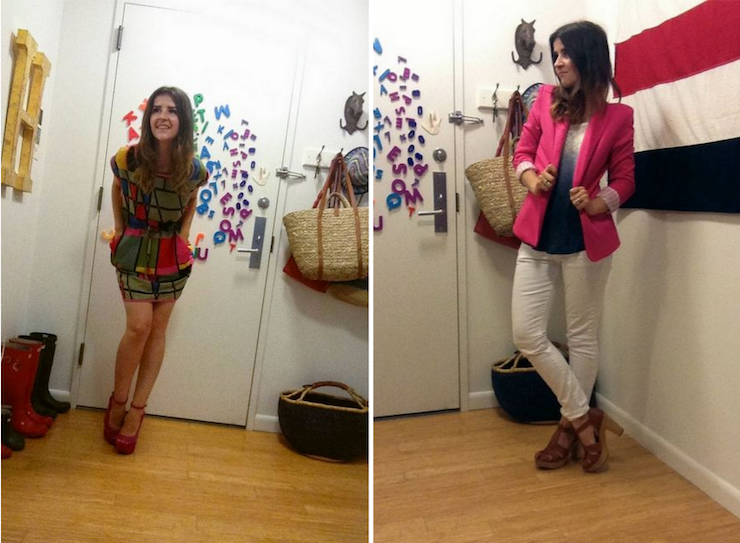 I am going to try out the pink blazer and the striped orange shirt. I can't wait to see what else comes. The dress is super cute, but I'm glad you said it was way short on you. I am almost 6' tall so it would have been inappropriately short on me. What did you end up keeping? 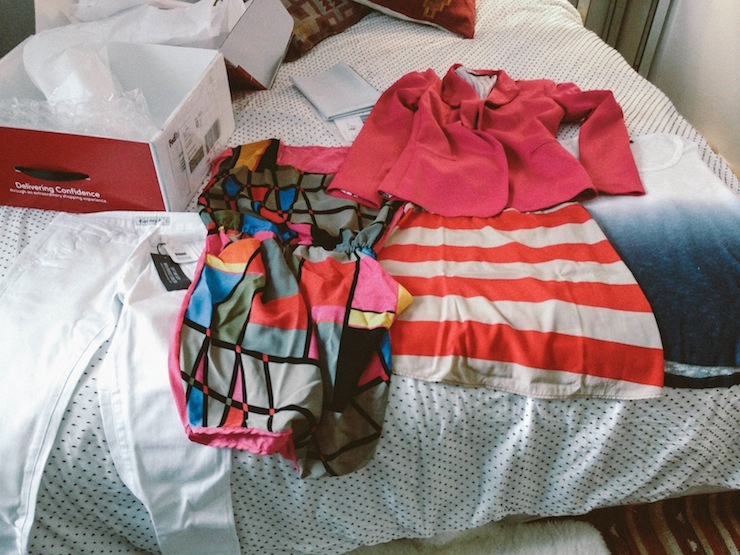 I'm glad to see one of my followed bloggers discuss these new "personal shopper" packages. I've been wanting to try it out myself, but like other ladies in here, my pickiness would prove difficult to keep ANYTHING. We love the dress! So cute! This is great!!! 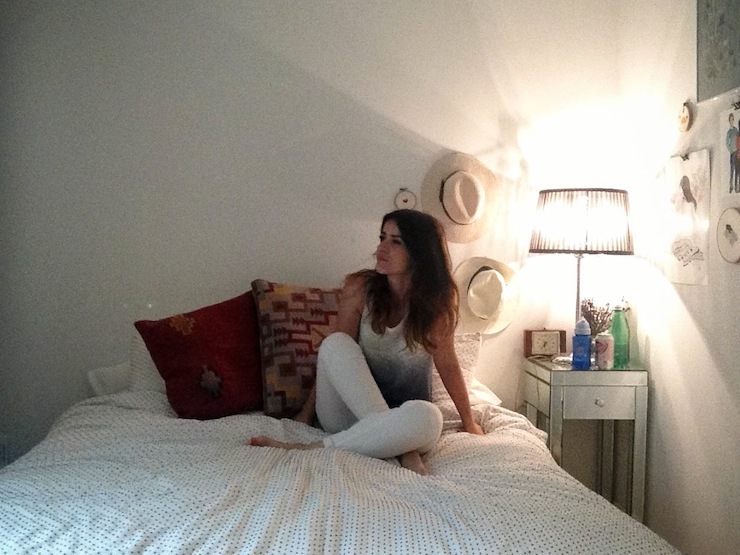 Totally going to check out StyleYou!!! All of it looks super cute on you!!! I'm an absolutely horrible shopper. Which is probably why I hate it so much. This looks like the perfect service for me!!! Seriously. I think I just struck gold with this post. Love the pink blazer and it is s shame the dress is too short! You look great in it! Ooh, that looks like fun. I love that dress! 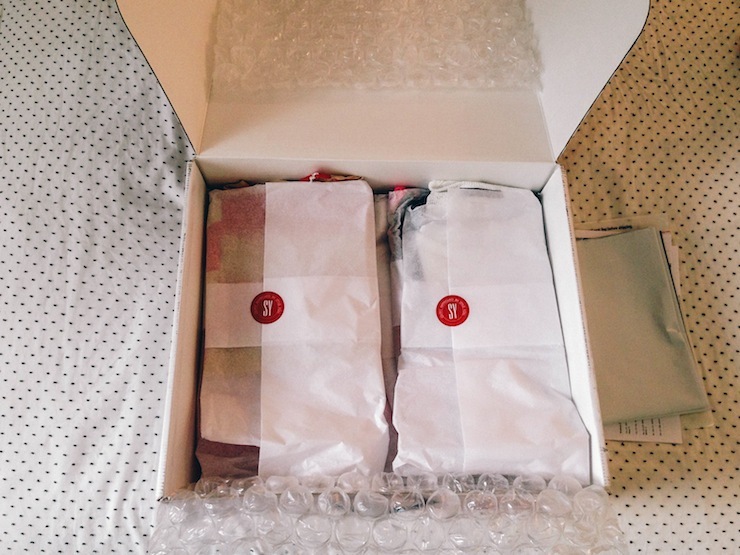 I've also been thinking about stitchfix. I'll have to compare the two. I like the concept of that! what a fun service! it's like opening a box of presents every time. What a good idea!! 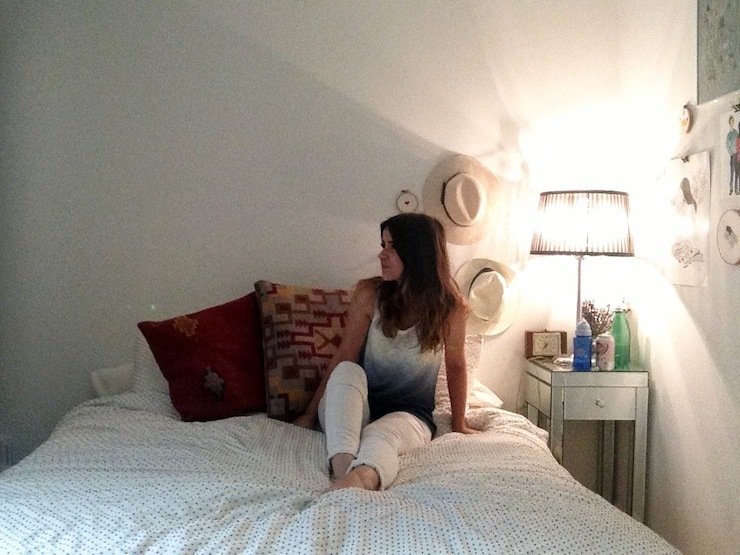 I think you look great in the ombre vest & white jeans. Your hair and skin colour looks just right with it! I also especially like your bedding, Natalie. Polka dot duvet!??! I didn't know I could buy such a thing! I hate that dress - but you are WORKING those red shoes in the picture! So cute! One site i have always wondered about is Sammydress.com. Is it a good site to buy from? Saw this antler ring. Thought of you. Did you really send that dress back?